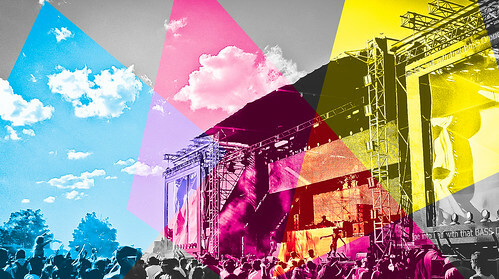 As summer takes hold across the land it’s once again time for outdoor music festival season! Of course with all that fun, partying and booty shaking comes responsibility as well, not only to help keep the festivals going in a positive way, but also to keep our bodies running and healthy. The more we are able to take care of ourselves and each other, the more we can all collectively enjoy the season and bring it to those peaks we’ve waited all year for. Heatstroke (a.k.a. sunstroke) is a potentially life-threatening condition that occurs when your body temperature rises to dangerous levels and you rapidly loose fluids. Being in the sun, dancing a lot, taking stimulant drugs like MDMA, not drinking adequate levels of water, or a combination of these can cause heatstroke. What can you do to prevent heatstroke? As a rough guide, you should be looking to drink about a pint of water every hour (2-4 cups). Sip water slowly rather than drinking a lot all at once, as this can be dangerous. Try and eat something salty or drink juice or isotonic sports drinks like Gatorade. This will replenish your body’s electrolytes and prevent hyponaetremia (water toxicity). Take breaks from dancing and allow your body to cool down. Shaded and cool chill out areas are perfect for this. Wear loose-fitting clothes and only wear a hat when in direct sunlight. Wearing a hat keeps the heat in. Sun visors are a good compromise. Suddenly feeling really tired, irritable and confused. Cramps in the legs, arms and back. If any of these things happen, stop dancing, drink some water and chill out immediately. Call an ambulance, the on-site medics or arrange immediate transportation to a medical facility. Get the person to as cool a place as possible. This might mean taking them outside. Drench them with water (cold, but not freezing cold, as this will be too much of a shock to the body) using any means you can. Increase the cooling down process by fanning them with anything that’s handy. You are looking to get the body temperature down to 102F (38.9C). Once the temperature is down to this level the person should be wrapped in a dry blanket or given some dry clothes to wear. The temperature shouldn’t be allowed to fall much below 102F or other serious consequences might develop. Tell the medical staff what the person has taken (if you know) and that you think it is heatstroke. If the person regains consciousness make them drink water with some salt in it. Gatorade or other sports drinks are ideal. At this point the person might start sweating again. This is a good sign. The person may need to be taken to the hospital for observation and proper treatment. Since many of our favourite festivals are happening in relatively remote areas far from medical facilities it is of critical importance to prevent heatstroke before it happens. This means being prepared, being knowledgeable and looking out for each other. Bring extra water with you (everyone needs to drink at least 4L per day). If you see someone dancing like a manic for hours on end ask them if they’ve been keeping hydrated and help them get water if they haven’t. An expanse of forest is a sight to behold and many won’t be able to resist the temptation to do some exploring. There are, however, certain precautions to adhere to while exploring woods and terrain you’re not familiar with. The primary concern is getting lost. To prevent this, your first couple jaunts should be in the daytime, with a buddy and not take you too far away from base camp until you get to know the area better. There are also many yummy looking things growing in the forest but unless you absolutely know what you’re doing you should stick to the food you (hopefully) brought from home or that is provided at the camp. While most of the local fauna will flee in terror when confronted with multiple sound systems, complete with lighting, blasting music to throngs of humans, should you come across any critters in your walk they are not likely to attack you but they may have personal space issues and not appreciate being touched. It’s best to keep your hands to yourself. Finally, be prepared for any type of weather. Even in the height of summer night temperatures can be quite cold out in the woods and rain can strike anytime. If you’ve forgotten your repellent then the kind folks at the TRIP Chill dome/tent will hook you up with a little. Dancing, playing & napping in the sun can be a great part of festivals, but if you burn easily in the sun (or even not so easily) having a ready supply of sun block lotion can make all the difference between a great time and agony. And if you’ve forgotten your supply then the TRIP Chill Dome can provide you with some. We’re all trying to make the most of our time at our summer festivals, and some of us want to make the weekend the longest day of the year. If for you this involves a general lack of inhibitions and an array of smokes, powders or pills, remember that if you’re planning to be up for more than one day – MIND WHAT YOU DO TO YOUR MIND. Being up for more than 24 or 30 hours straight will likely leave you a little more scatterbrained with each passing moment, and drugs may only exacerbate this. Some drugs do not interact well with others, and for this you need to be super aware, because it may not be the first consideration that comes to mind when someone offers you more drugs. How will these drugs interact? If you’re unsure, save them for later. What activities will you need to do after your trip (i.e. sleep, drive, perform some task for the festival, etc…)? Doing lots of drugs on Friday and Saturday will probably leave you burnt out on Sunday and Monday… Space em or Save em! If you’re going to combine drugs, tell a level-headed friend exactly what you took and when. If you get something you’ve never tried, wait until you’re home or sober from other drugs before giving it a whirl. Different pills of E vary widely in strength and aren’t necessarily MDMA (or amphetamines at all). E if often adulterated with other substances (K, Meth, 2CB, DXM, PCP) some of which can be dangerous. For example, mixing even a small amount of alcohol with K makes most people very ill and incomprehensible. Alcohol or any amphetamines (including E) will seriously dehydrate you, especially when mixed and out in the heat and sun – try not to mix these substances, drink lots of water, and stay cool. Mixing different psychedelics together can be very unpredictable and not always an aid to social interaction, particularly when sleep deprivation is also a factor. Mixing alcohol with any other drug dramatically increases the risk of adverse reactions. Snorting lots of different substances will dry out your nose and sinuses and can cause nosebleeds. Sharing snorting devices such as straws or rolled-up bills can create a route of transmission for Hepatitis C. Visit the TRIP! Chilldome for clean and personal snorting devices! Not only can pot, alcohol and K leave you feeling hung-over, but they are also prone to causing fuzzy memories of what you’ve done. It can also be easy to forget what you are up to, and you may take more drugs than originally planned, without thinking of the outcome. Mixing uppers (meth, speed, MDMA, effies, coke, caffeine) makes it easier to OD on a smaller amount of any one of them, and will also increase your risk of heatstroke and dehydration – alcohol will increase the risks! Mixing downers (alcohol, G, opiates, valium, sleeping pills) makes it easier to OD on a smaller amount of any one of them on their own… and again, alcohol especially will greatly increase your risk for overdose when on these types of substances. Mixing K (or PCP) with any psychedelic will compound the effects of each dramatically. You may feel like you’re stuck “in the K-hole” and never coming back, or even forget that you took drugs to cause the effect in the first place! It may be incredibly difficult to walk, talk, perform simple tasks or remember who and where you are while you’re high. This will wear off eventually, but remember that K tends to last longer when combined with other psychedelics. Mix with caution in a safe spot and prepare to be non-functional and anti-social. Remember that this isn’t necessarily the time or place to smoke DMT or salvia, do massive amounts of dissociatives or getting piss drunk. Being completely out of it can be worrying to others who don’t know what you’re on if you’re passed out, speaking in tongues, flailing around on the ground or otherwise unable to communicate. Even if you’re enjoying your crazy trip it may not appear that way to others. If you will be injecting any drugs make sure you always use a clean needle and prep equipment, never share syringes and dispose of your needles in a safe manner. Go to the TRIP Chill dome for needle exchange, clean equipment, and safe disposal. If anything does happen and you feel a little freaked out (or tripped out), or if a friend is feeling this way, come to the CALM area and visit a TRIP worker, first aid worker or paramedics onsite. So, have a blast, celebrate nature, meet some new friends, share, make some memories, and get some really good ideas!